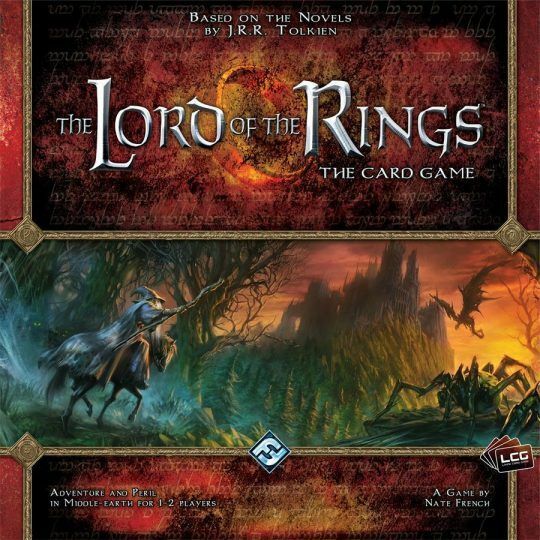 The Lord of the Rings: The Card Game is a cooperative adventure game in which the players attempt to complete a scenario, each with three heroes of their choice and a deck of allies, events and attachments to support them. Each round, players send their heroes and allies to quest or to fight with enemies that engage them. However, as the heroes and allies exhaust after questing, defending, or attacking, the players’ options are typically insufficient to deal with everything at once. Therefore, players need to determine whether it is more urgent to quest and make progress in the scenario while the enemy forces gain power, or to take down enemies while making no progress, not knowing what will come next. Although this game is set in Tolkien’s Middle Earth, the scenarios do not represent scenes from the books, but rather take place in the seventeen years from Bilbo’s 111th birthday until Frodo’s departure from the Shire.